Two-thousand and eleven was perhaps one of the most memorable and significant years for the Middle East. The Arab uprisings inspired people of the region, and the world, for the possibilities that existed for change. For Yemen, it brought Yemenis the hope for change and transition to a better society; away from extreme poverty and violence and towards economic opportunity, equality, and security. The protesters who participated in the uprisings yearned for a peaceful Yemeni transition, one without violence, and where better economic, political, social opportunities exist. They desired a secure country where freedom, dignity, and justice flourish. Five years later, the Yemeni hope for a more stable and peaceful country appears to be eroding with the intensifying conflict intermixed with the injection of terrorist organizations like Da’ish and Al Qaeda affiliates. Currently, the crisis in Yemen is recognized as one of the worst humanitarian crises in the world. In July of 2015, the United Nations (UN) declared a “level 3” humanitarian emergency in Yemen, the UN’s highest-level humanitarian emergency. Nevertheless, the humanitarian conditions continue to worsen regardless of relentless efforts by political actors to end the violence. Thousands of civilians are dying due to the war, a large segment of the population has lost access to basic needs such as clean water and medical services, and the majority of the population is suffering the ramifications of escalated violence. Consequently, the continued violence and lack of effective government and security forces has rendered a very uncertain future for Yemen. As Yemen navigates towards the future, there is a need for a renewed commitment to political, economic, and social reform in the country. Yemen’s future involves a fundamental restructuring of government at a time of protracted conflict and increasing competition for scarce natural resources. Acute analysis of the political economy and the evolving relationships between key protagonists are preconditions for effective engagement by regional and international actors. This article outlines Yemen’s unique economic, political, and security situation while offering four short-term future scenarios, as well as positive and negative outcomes for each scenario. It will conclude with an outlook for the near future. Historically a commercial crossroad, Yemen sits at the junction of three continents—Europe, Asia, and Africa—and three major maritime expanses—the Indian Ocean, as well as the Red and Mediterranean Seas. Previously, it was a zone for exchange and mobility, channeling international trade, financial transactions, and human migration. Recognized by Roman geographers as Arabia Felix, Yemen was once known for its waterfalls, fruitful land, trade, and civilization. In the past few decades, Yemen has been increasingly recognized as a fragile state on the brink of failure. While the recent war has brought Yemen closer to failure, the divided country is resiliently ahead of total collapse, but remains plagued by a nexus of economic, political, and security challenges. The Yemeni economy is unstable and characterized by tremendous dependence on a small reserve of rapidly depleting resources. In 2010, oil accounted for 85% of all Yemen’s export earnings, 71% of government revenues, and 75% of the Yemeni government’s income. While those percentages may seem high, they do not provide enough to sustain the Arab world’s poorest country, where over half of the population lives under the poverty line. Yemen’s water scarcity is arguably the country’s number one problem. Water shortages spark tensions and resource wars in an already unstable area. The fact that 80% of the conflicts in Yemen derive from a scarcity of water resources is cause for concern. The consequences of Yemen collapsing are dire: a failing Yemen could entail up to half of its 23 million population seeking asylum in Saudi Arabia. With millions of potentially displaced individuals, a significant problem for neighboring countries affects the state of Yemen’s labor market. As it is incapable of accommodating these numbers, unemployed Yemenis look to neighboring countries for opportunities. Leadership and good governance are especially important for transitioning fragile states to stable states. By saving oil revenues abroad, Yemeni political officials avoid exchange rate appreciation and protect the development of the non-oil sectors of the economy. Foreign savings allows Yemen’s political leaders to prolong the investment boom and increase the efficiency of their investments. The strategy of saving oil revenue abroad is in the best interest of a strong leader who seeks to maintain power in Yemen. Foreign savings in the best interest of the country and subsequently repatriated promote economic growth and helps a leader maintain public and elite loyalty by safeguarding the economic standards the public expects and ensuring the economic interests of the elite. Yemen presents an unparalleled security dilemma from other Middle East countries that is often very complex and constantly changing. 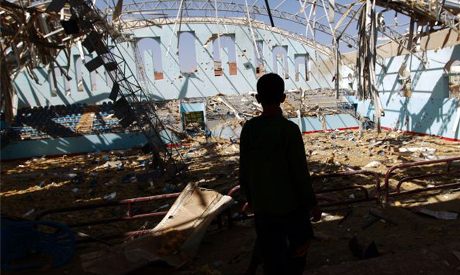 Arguably, Yemen has one of the ripest environments prone to violence. This environment is a product of ongoing external proxy conflicts, a history of civil wars and armed resistance, tribal powers with access to significant weaponry, a growing division between the north and south, a looming sectarian conflict, and a continued destruction of the weakened political apparatus. Social corruption, political and military defections, and the imbalance of power among local elites sustains a highly destructive environment. To add to the complex security dynamics, Yemen has an emerging sectarian fault line between its Sunni and Shia populations. The chaos in Yemen provides predominantly-Shia Iran and the neighboring Sunni Wahhabis in Saudi Arabia an alibi to conduct a regional proxy conflict. In Yemen, there are local, regional, and international considerations. At the local level, identity in conflict research argues “inequality feeds frustration, fragmentation, a lack of system legitimacy, and, ultimately, conflict.” While envisioning a future scenario for Yemen, it is rather difficult without addressing the north/south identity question. Yemen’s failed at addressing an equally important issue with the Zaidi armed groups who have endured six wars against the Yemeni government now in power. Therefore, while imagining sustainable peace for Yemen, it is crucial to understand the people, their differences, and their needs. One of the primary reasons Yemen is such a difficult case is because most of their internal problems have significant regional repercussions. The regional engagement reflects the desire of member states of the Gulf Cooperation Council (GCC) that are likely to bear the brunt of Yemen’s political and economic and political fragility. It also represents an attempt by Western donors to foster the GCC’s interest in adopting a regional policy by facilitating Yemen’s transition to a post-oil economy. While the culture of violence directly affects confrontational states situated at the core of the protracted conflict, it often spreads to populations within peripheral states (those surrounding core states) and marginal states (located beyond the peripheral states) within the region. Thus, economic and politically stable neighbors are generally a positive indicator for the long-term stability of a weak state. From an international point of view, the crisis in Yemen carries wide implications for the future of the balance of power in the Middle East. As regional hegemons, Saudi Arabia and Iran, are vying for power in the country, and both have lent considerable military assistance to their faction. If President Hadi remains in power, the Saudis will serve as the primary country responsible for establishing the refined government with the aid of the United Arab Emirates, but will be faced with questions regarding the legality of their campaign and a contentious Shi’ia minority in the country. The Saudi government is likely to also face human rights allegations. On the other hand, if the Iranian-backed Houthi rebels control Sana’a, it is likely the Iranians will gain power and influence from the Gulf of Aden, across the strategic Bab al-Mandab Straight and into the Red Sea. Economically, the Iranians stand much to gain by controlling the sea-lanes around Yemen. Control over Yemen also enables a Shi’ia arc extending from Lebanon, into Syria, Iraq, and culminating into Yemen. Given Yemen’s unique economic, political and security situation, and considering its local, regional and international complexities, the country is likely to succumb to one of the four following scenarios. The first path is Status Quo where the variables of Yemen’s continued course remain the same. The second path, Fractured State, envisions a continued civil war, replicating similar atmospherics emanating from Libya’s conflict. The third path, Two States, envisions Yemen fracturing along ethno-sectarian lines. The fourth path, New Yemen, would result from Yemen’s political transition abiding by support from the international community. Each scenario has positive and negative attributes, which may define the path Yemen charts towards. Status Quo: This future forecasts the removal of President Hadi and replacing him with an individual voted via popular support leading to a continued politically fractured state. The newly prescribed President of Yemen supports his party’s agenda, thereby continuing to lack focus on holistic Yemeni concerns, nor concerns for security. Without a holistic concern for civil society issues, local leaders and militias continue to work outside the framework of the state. This method supports increased insecurity as entities like Al Qaeda Arabian Peninsula (AQAP) quench grassroots organizations’ anger related to corruption and economic mismanagement. The situation in Yemen is exacerbated by a combination of local political rivalries and the Saudi Arabian proxy war with Iran. 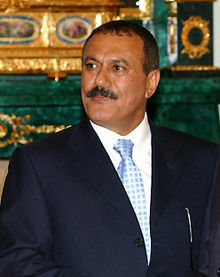 Although the ousted President Ali Abdullah Saleh waged a war on the Houthis, his quest to retain power drove him to ally with them in their overthrow of Sana‘a. The current anti-Houthi sentiment in southern Yemen is clearly not due to the popularity of Hadi, but it has allowed AQAP to expand its control throughout the country. Meanwhile, Yemen requires a massive influx of development and humanitarian aid once the fighting ceases. The sectarian overtones of the present conflict have destroyed centuries of tolerance between the Islamic schools in Yemen, fueled in part by the Saudi promotion of Salafism. Fractured State: While Yemen attempts to re-establish governance and stability under the UN Resolution 2216, the state erupts in continual civil war, similar to modern-day Libya. This scenario increases additional security risks throughout the region with the onset of Da’ish and AQAP controlling terrain in Al Jawf, Al Mukalla, and Hadramawt provinces. The rough human terrain map divides the country into four to five sectors between the Huthis, Da’ish, AQAP, and southern secessionists. A revised reform agenda ignores disconnects between technocrats and elite decision-makers. Yemeni real power supports informal networks that bypass or overlay state institutions. A program for reform threatens these private networks striving to survive and vested interests will continually resist change. In this scenario, Yemen embarks on an internationally-supported transition process, representing major social and political segments of the country. Growing social, economic and humanitarian crises exacerbates political challenges. Unemployment, poverty and widespread food insecurity increase and are compounded by water shortages and dwindling oil resources. Acute malnourishment and lack of access to water, sanitation and health care adversely affect marginalized groups such as those who are internally displaced, migrants, youth, and ethnic and religious minorities. Women are particularly affected and face additional challenges of sexual and gender-based violence, child marriage, and denial of civic and political rights. Meanwhile, Iran and Saudi Arabia will likely increase their support to their respective fault clients based on regional, sectarian, and tribal identities, making the conflict even more toxic. While the Houthis have established their dominance over Sana’a and beyond, they cannot govern Yemen on their own. The bombing campaign, supported by the major Western powers, increases the insecurity and sectarian rhetoric that provide a powerful recruitment tool for regional terrorism. Two States: If the division continues among the parties, Yemen solidifies and polarizes to avoid further conflict with the Houthi rebels in the north and the others centered in the south representing a return to pre-unification in 1990 under the auspice of the southern secessionist movement. Initially, this may result in Saleh serving as the President of North Yemen, and Hadi as the President of the People’s Democratic Republic of Yemen. This model derives the divided state revolving with internal problems loosely glued together with a disinterested concern for implementing agreements. The secular state allows the North to prevent the South’s oilfields and fisheries to be exploited. A two-state solution would give each faction their own political legitimacy. The country is currently a peripheral state in the region, and in this scenario, North Yemen becomes a satellite state of Iran, and the People’s Democratic Republic of Yemen becomes a satellite of Saudi Arabia. The primary winner in this scenario is Iran who gains placement and access to facilitate proxy wars and intelligence operations against Saudi Arabia and throughout the transnational shipping lanes of the Gulf of Aden. In many aspects, the Gulf of Aden transitions towards the Straits of Hormuz via mirror imaging. Through Eritrea, Iran gains access to Africa for transnational interests. New Yemen: In this scenario, Yemen abides by the UN Resolution timeline under Vice President Bahah and the elected parliament who creates the revised Yemen constitution. Through a bi-partisan government, the GCC advisors and humanitarian aid orchestrate a greater civil society role. Under the mentorship of the GCC, Yemen forms into a stable society over a transitional period consuming the better part of 15-20 years of progressive growth, thereby eliminating a failing economy, depleting resources, armed conflict, and an evaporated government. The newly transitioned Yemeni government establishes an encouraging environment for investment and enable small and medium enterprises to compete. The international community commits itself to assisting the rehabilitation and rebuilding of the Yemeni economy. If there is enough wealth in the country so that it does not make much difference whether some redistribution occurs, it is more palatable to accept the idea of indifference to which side of governance obtains power, but in the case of Yemen, the GNI per capita is $1,300. A second stage of the transition process envisages agreements on topics such as public service reforms and protection of minorities; and a new constitution to be created ahead of presidential and parliamentary elections. The future of Yemen looks like a blended environment of the Status Quo and Fractured State models as political agendas class amongst continuations of UN Resolutions and extended timelines dissipate. To counter the current course Yemen is navigating, the GCC and UN must ensure Yemen properly transitions towards stability, thereby preventing the continuation of the perceived scenarios projected. Because of the contentious nature of the Middle East’s regional hegemons, one way to settle the in-fighting would be abolish all armed militias under the auspices of an international force that would support security. Only an international security force, could demilitarize the country and support the transitional government’s establishment of a security-political coordination mechanism. The importance of reforms to military and security structures cannot be overestimated, given that Yemen has been largely ruled by a military government over the past two decades. The likelihood of an international force in Yemen is slight, based on the potentiality of concern relative to their employment similar to UN Peacekeeping forces in Africa. Ibrahim Al-Hajjri is a Conflict Resolution professional with experience in the Middle East and the United States in both governmental and non-governmental sectors. He is a doctoral student at George Mason University's School for Conflict Analysis and Resolution. Dr. Diane Maye is a member of the Military Writers Guild and a Featured Contributor on The Strategy Bridge who writes about U.S. foreign policy, Iraqi politics, and grand strategy. Dr. Troy E. Mitchell has served in the Marine Corps since 1999. He has a Doctorate in Strategic Security and serves as a Professor for Henley-Putnam University since 2011. The views expressed in this article are those of the authors and do not reflect the official position of the United States Marine Corps, the Department of Defense, or the U.S. Government. Kendall-Taylor, A. (2011, July 28). Instability and Oil: How Political Time Horizons Affect Oil Revenue Management. St. Comp Int Dev, 46, 321-348. doi: 10.1007/s12116-011-9089-9. Celia Cook-Huffman, “The Role of Identity in Conflict,” in Handbook of Conflict Analysis and Resolution, 0 vols. (Routledge, 2008), 19–31, http://www.crcnetbase.com/doi/abs/10.4324/9780203893166.pt1. Ruys, T. and Ferro, L. (2016). Weathering the Storm: Legality and Legal Implications of the Saudi-led Intervention in Yemen, International and Comparative Law Quarterly 65:1, pp. 61-98. Brehony, N. (2014). The Role of the PDRY in Forming a South Yemeni Identity. In H. Lackner (Ed. ), Why Yemen Matters: A Society in Transition (pp. 122-141). London: British Yemeni Society.